Abu Dhabi, United Arab Emirates (UAE) – Etihad Aviation Group (EAG), a diversified global aviation and travel group headquartered in Abu Dhabi, today debuts its engaging and multifunctional booth under the theme of “Embracing China, Expanding Partnership” at the First China International Import Expo (CIIE) at the National Exhibition and Conventional Centre in Shanghai. The CIIE, the biggest import trade show in China, which is being held from 5th to 10th November, aims at gathering government officials, business communities, exhibitors and professional purchasers from across the world, and providing new channels for countries and regions to do business, strengthening cooperation and promoting the prosperity of global economics and trade. Etihad Aviation Group, one of the key enterprises from the United Arab Emirates, participates in the CIIE as an exhibitor with a dedicated stand covering more than 100 square meters at the Trade in Services sector in the Business Pavilion area. 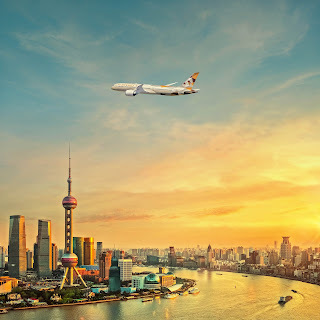 For the first time, Etihad Aviation Group will exhibit its various business divisions to Chinese and international customers, including: award-winning passenger and cargo services and products; state-of-the-art aviation training facilities for pilots and crew; industry-leading aircraft maintenance and engineering solutions; full event and leisure planning services by its destination management division, and much more. China is the key trading partner of the UAE with non-oil trade expected to rise more than 9 percent in 2018 to US$58 billion. Abu Dhabi’s non-oil trade also shows that China is among the top-five countries with key trade relations with the emirate. “Our daily connections are strengthening those relations by generating more revenue, creating jobs and attracting investment. They also enhance import and export activities via our hub Abu Dhabi,” said Mr. Douglas. 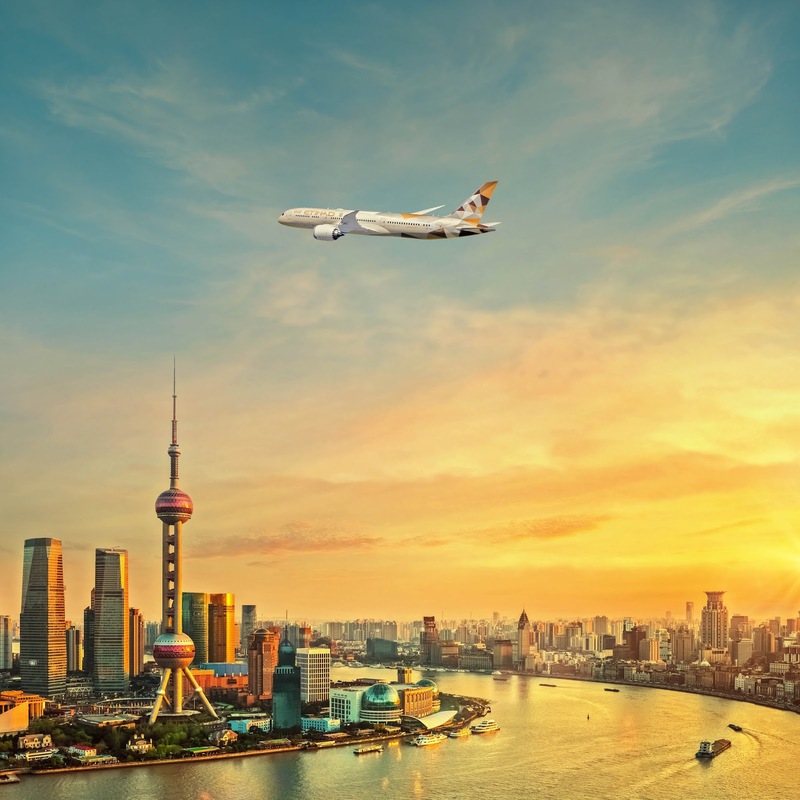 “By leveraging the solid experiences in China and sound relationships with local partners nurtured through our airline business over the past 10 years, we are confident our other business functions will do just as well in this market under the mentality of “Embracing China, Expanding Partnership”, and thus bringing mutual benefits to our existing and potential partners. We are keen to expand our global footprint together with them,” Mr. Douglas added. “Participating in the First CIIE and showcasing the comprehensive offerings across various business functions demonstrates again our determination for further development in China,” added Mr. Al Qubaisi. EAG’s stand at the CIIE will act as an important supplement to the UAE Government Booth at the National Pavilion to exemplify the strong commitment and support from the Abu Dhabi government for this significant initiative. According to the CIIE, about 2,800 companies from more than 130 countries and regions will showcase products to an estimated 150,000 buyers at this 6-day event.